Though Tilda Swinton and Conan O’Brien are quite similar lookwise, they are pretty different on screen. Tilda Swinton usually plays roles of villains whereas O’Brien generally makes people laugh. Clea DuVall and Josh Hartnett have shared the screen in the movie The Faculty. 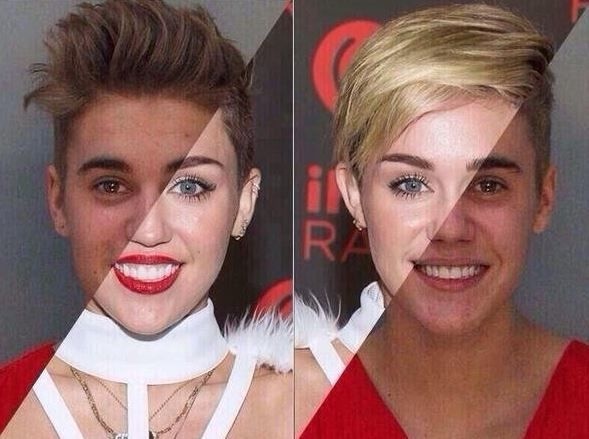 Even though one of them is British and other is American, the faces of these celebrities are quite alike. Alanis Morissette and Anthony Kiedis look extremely alike. Both of them are musicians. Sometimes I feel they are basically the same person. Well, even the wrinkles on the cheeks of Maria Shriver and Willem Dafoe match to a great extent. Of course, not to forget the extra-large chins. At first, you might think both of them are female, but let me clarify. Julia Roberts, the one on the left is a female who has been looking more and more like a lady as the years go by. On the right is Steven Tyler who is starting to become a great looking older woman. Actually, they both even look a bit like Angelina Jolie. The earrings on this male celebrity are making me extremely uncomfortable. Both of them have gone under the knife, which contributes a lot to their similarities. Both, Ellen DeGeneres and Owen Wilson are extremely funny, aren’t they?